After 13 years in orbit around Saturn, NASA's Cassini spacecraft is about to plunge itself into the planet's atmosphere and disintegrate. NASA decided to put an end to the mission on Friday because the probe is almost out of fuel. 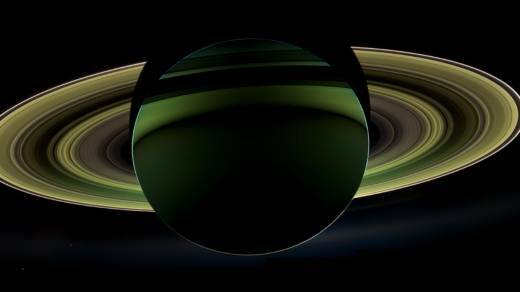 Cassini has provided exquisite details about the second-largest planet in our solar system. Take the hurricanes at Saturn's poles, for example. "These hurricanes are large enough they'd cover about half the continental United States, about 50 times larger than a typical Earth hurricane," says Cassini project scientist Linda Spilker of NASA's Jet Propulsion Laboratory. Then there are the remarkable, hexagonal-shaped jet streams at the north pole. They've been there since before Cassini arrived in 2004. "We have jet streams here on the Earth, but they change almost daily," Spilker says. "So we're really puzzled. It's the only place we know of in our solar system that has a long-lived hexagonal jet stream." Spilker's special interest is Saturn's rings, and she says Cassini has revealed some unexpected things about them. There are places, for example, where the particles that form the rings clump together. "The clumpiness has a unique character. Sometimes it looks kinda clumpy and speckly, other times it looks streaky," she says. And in other places, the particles float freely and don't appear to have any structure. "How you can keep those areas separated?" she says. "That's an interesting and curious puzzle." 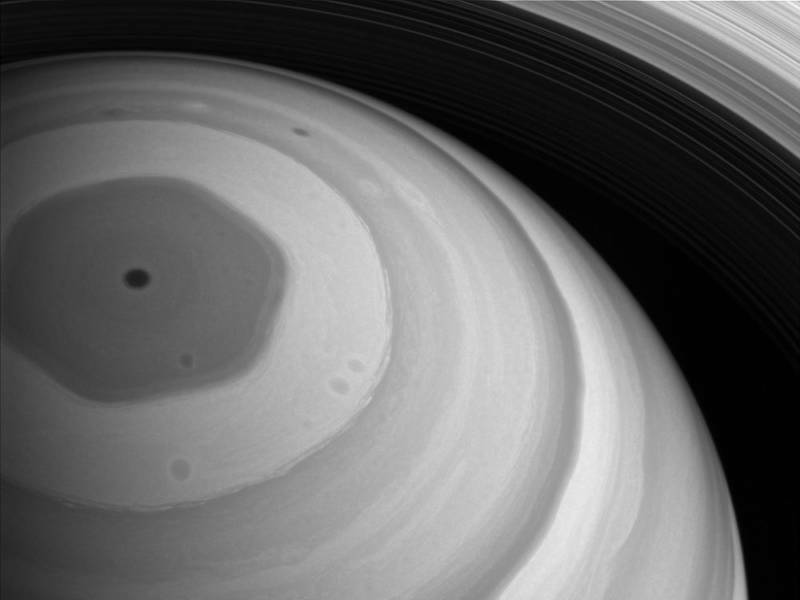 For all that Cassini has revealed about Saturn, there are still plenty of mysteries. "It's a little bit embarrassing to confess, but we don't know how long a day is on Saturn," says Michele Dougherty of Imperial College in London. She's the scientist in charge of Cassini's magnetometer, an instrument that measures Saturn's magnetic field. "In some ways," she says, "you can almost use a magnetometer to see inside a planet and get a better understanding of its internal structure." Cassini's final orbits are taking it closer to the planet than ever before. Dougherty is hoping this will let her instrument see a telltale tilt in the magnetic field that should resolve the uncertainty over the length of a Saturnian day. "If we don't, we might not be able to work out the exact length of a day is on Saturn," she says. Some of Cassini's most interesting discoveries involve Saturn's moons. 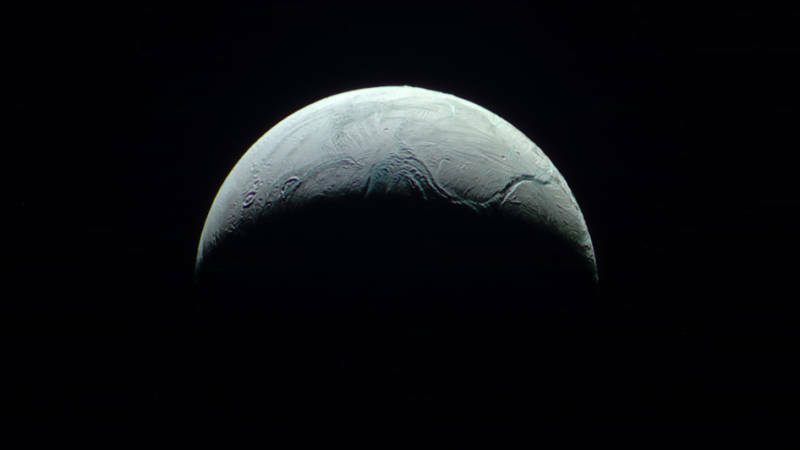 "Enceladus is this little moon. It's about the size of the United Kingdom," says Carly Howett of the Southwest Research Institute in Boulder, Colo. Scientists were amazed to see giant plumes of salty water vapor belching from Enceladus' south pole, suggesting liquid seas under a frosty crust that could maybe, possibly, harbor life. Howett's instrument on Cassini, the composite infrared spectrometer, has revealed that the surface of Enceladus is extremely porous. "Much more porous than freshly fallen snow," she says. "If you were to put your hand on top of this and push down, your hand would go a long way into the surface. It wouldn't put up much resistance at all." That Cassini is still functioning so well after 13 years in orbit isn't a big surprise to JPL mission engineer Julie Webster. She says the spacecraft came prepared. "We carry two computers, two radios, two gyroscopes, two sun sensors, two star scanners, so we had our backups," she says. A good indication of just how well Cassini has worked is the number of times it's gone into "safe" mode. When a spacecraft detects some type of software or hardware problem on board, it shuts down all nonessential equipment, turns its main antenna toward Earth and basically calls home to ask for instructions. "We've only done that six times in 20 years, and only twice since 2003," Webster says. "So most of the 'safings' were early as we were learning the spacecraft." NASA's decision to end the Cassini mission has an interesting back story. It seems mission managers were worried that without fuel to change its orbit, the probe could crash into one of Saturn's moons sometime in the future. The space agency was loath to let that happen, because it can't be certain that Cassini isn't carrying some hardy microbial spores from Earth. There's good reason to believe that some bacteria could survive 20 years in space. The last thing NASA would want to do is send a future probe to one of Saturn's moons, only to find it colonized by bacteria from Earth. The end of Cassini is going to be a sad day for the many thousands of scientists, engineers and technical staff who have worked on the mission. "I've gone through all the stages of mourning, all the stages of grief," says Webster, who has worked on the mission since its launch in 1997. "It's going to a sad day," agrees Howett, who has been working on the Cassini mission since 2005. "I'm heavily, emotionally invested in this mission in a way that doesn't normally happen. It's basically been the backbone of my career." Dougherty says she'll also be sad to see the last radio signal from Cassini. "But it's going to a really proud moment, too," she says. "Because the instruments and the spacecraft are still doing spectacularly well, and so to end in this almost blaze of glory that we're going to end in I think is the way to go."